File:Bénodet 010 Chapelle de Perguet Vitrail de Kim En Joong au-dessus du maître-autel.JPG has been listed at Commons:Deletion requests so that the community can discuss whether it should be kept or not. We would appreciate it if you could go to voice your opinion about this at its entry. File:René Quillivic La ceuilleuse de fraises (jeune fille de Plougastel) -L'art et les artistes octobre 1930-.jpg has been listed at Commons:Deletion requests so that the community can discuss whether it should be kept or not. We would appreciate it if you could go to voice your opinion about this at its entry. File:René Quillivic Devant Dieu -L'art et les artistes octobre 1930-.jpg has been listed at Commons:Deletion requests so that the community can discuss whether it should be kept or not. We would appreciate it if you could go to voice your opinion about this at its entry. File:René Quillivic Saint-Edwet (gravure sur bois) -L'art et les artistes octobre 1930-.jpg has been listed at Commons:Deletion requests so that the community can discuss whether it should be kept or not. We would appreciate it if you could go to voice your opinion about this at its entry. File:René Quillivic La vague (gravure sur bois) -L'art et les artistes octobre 1930-.jpg has been listed at Commons:Deletion requests so that the community can discuss whether it should be kept or not. We would appreciate it if you could go to voice your opinion about this at its entry. je me suis permis de corriger les annotations de la photo File:040 L'ex Jeanne-d'Arc en attente dans la penfeld.jpg, c'est très probablement de l'ex-Duguay-Trouin qu'il s'agit. File:Monument en l'honneur de Jean Cras à Brest.jpg has been listed at Commons:Deletion requests so that the community can discuss whether it should be kept or not. We would appreciate it if you could go to voice your opinion about this at its entry. File:395 Noradouz Tombe ère soviétique (1974).JPG has been listed at Commons:Deletion requests so that the community can discuss whether it should be kept or not. We would appreciate it if you could go to voice your opinion about this at its entry. Thanks for uploading File:Saint-Pol 93 Le clocher du Kreiker en 1873.jpg. I notice that the file page either doesn't contain enough information about the license or it contains contradictory information about the license, so the copyright status is unclear. File:Stpoldeleon manoir keramprat.jpg has been listed at Commons:Deletion requests so that the community can discuss whether it should be kept or not. We would appreciate it if you could go to voice your opinion about this at its entry. Thanks for uploading File:L'Île de Térénez et le croiseur Colbert au mouillage dans l'anse de Penfoul.jpg. I notice that the file page either doesn't contain enough information about the license or it contains contradictory information about the license, so the copyright status is unclear. Thanks for uploading File:Locquénolé.jpg. I notice that the file page either doesn't contain enough information about the license or it contains contradictory information about the license, so the copyright status is unclear. Thanks for uploading File:Les membres du conseil municipal de Brasparts entre 1895 et 1901.jpg. I notice that the file page either doesn't contain enough information about the license or it contains contradictory information about the license, so the copyright status is unclear. Thanks for uploading File:La fontaine de Saint-Léger à Quimerch (dessin de Yvonne JEAN-HAFFEN ).jpg. I notice that the file page either doesn't contain enough information about the license or it contains contradictory information about the license, so the copyright status is unclear. File:017 L'église de Bellevue.jpg has been listed at Commons:Deletion requests so that the community can discuss whether it should be kept or not. We would appreciate it if you could go to voice your opinion about this at its entry. File:030 La place et l'église de Kérinou 1.jpg has been listed at Commons:Deletion requests so that the community can discuss whether it should be kept or not. We would appreciate it if you could go to voice your opinion about this at its entry. File:031 La place et l'église de Kérinou 2.jpg has been listed at Commons:Deletion requests so that the community can discuss whether it should be kept or not. We would appreciate it if you could go to voice your opinion about this at its entry. File:091 Brest-Saint-Marc La chapelle Saint-François au Guelmeur.JPG has been listed at Commons:Deletion requests so that the community can discuss whether it should be kept or not. We would appreciate it if you could go to voice your opinion about this at its entry. 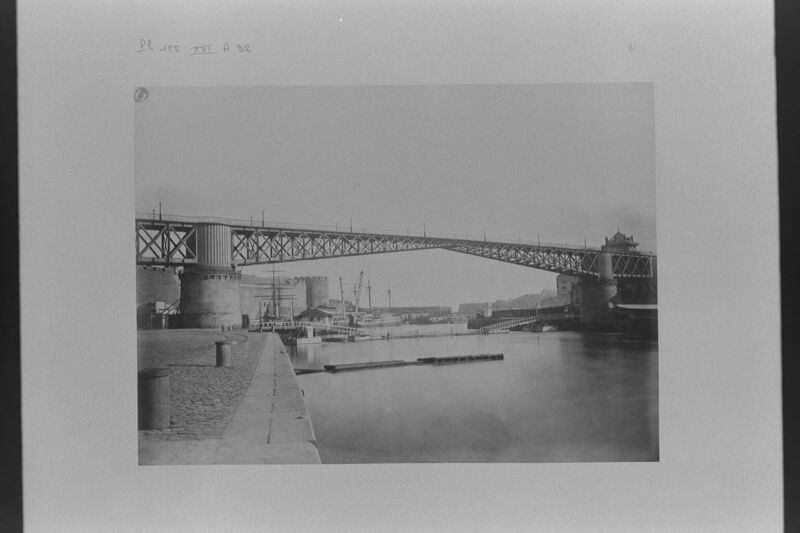 File:002 Brest Pontanézen médiatèque et halte-garderie.jpg has been listed at Commons:Deletion requests so that the community can discuss whether it should be kept or not. We would appreciate it if you could go to voice your opinion about this at its entry. File:032 Kérinou et sa passerelle.jpg has been listed at Commons:Deletion requests so that the community can discuss whether it should be kept or not. We would appreciate it if you could go to voice your opinion about this at its entry. File:Toit école kerinou.jpg has been listed at Commons:Deletion requests so that the community can discuss whether it should be kept or not. We would appreciate it if you could go to voice your opinion about this at its entry. File:020 L'école supérieure de commerce de Brest.jpg has been listed at Commons:Deletion requests so that the community can discuss whether it should be kept or not. We would appreciate it if you could go to voice your opinion about this at its entry. File:021 L'école supérieure de commerce de brest 2.jpg has been listed at Commons:Deletion requests so that the community can discuss whether it should be kept or not. We would appreciate it if you could go to voice your opinion about this at its entry. Thanks for uploading File:Femmes la fontaine Lansyer.jpg. I notice that the file page either doesn't contain enough information about the license or it contains contradictory information about the license, so the copyright status is unclear. Thanks for uploading File:Dernier loup du Ménez-Hom.jpg. I notice that the file page either doesn't contain enough information about the license or it contains contradictory information about the license, so the copyright status is unclear. Thanks for uploading File:Le blason de Pont-de-Buis.jpg. I notice that the file page either doesn't contain enough information about the license or it contains contradictory information about the license, so the copyright status is unclear. Thanks for uploading File:Emile Dezaunay Les peupliers à Tréboul.jpg. I notice that the file page either doesn't contain enough information about the license or it contains contradictory information about the license, so the copyright status is unclear. File:040 Scrignac Coatquéau Tombe de l'abbé Perrot.JPG has been listed at Commons:Deletion requests so that the community can discuss whether it should be kept or not. We would appreciate it if you could go to voice your opinion about this at its entry. Thanks for uploading File:Robert Wylie The postman.jpg. I notice that the file page either doesn't contain enough information about the license or it contains contradictory information about the license, so the copyright status is unclear. File:Guerlesquin 41 Buste de Prosper Proux.jpg has been listed at Commons:Deletion requests so that the community can discuss whether it should be kept or not. We would appreciate it if you could go to voice your opinion about this at its entry. File:Paysan léonard.jpg has been listed at Commons:Deletion requests so that the community can discuss whether it should be kept or not. We would appreciate it if you could go to voice your opinion about this at its entry. File:Le monument aux morts de Saint-Pol-de-Léon.jpg has been listed at Commons:Deletion requests so that the community can discuss whether it should be kept or not. We would appreciate it if you could go to voice your opinion about this at its entry. File:Paysanne léonarde.jpg has been listed at Commons:Deletion requests so that the community can discuss whether it should be kept or not. We would appreciate it if you could go to voice your opinion about this at its entry. Une rencontre est organisée dans le cadre du forum des usages coopératifs de Brest à Télécom Bretagne de 14h à 18h mardi 1er juillet 2014. Benoît Evellin et Pierre-Antoine Le Page animeront ces rencontres où nous espérons voir quelques contributeurs y participer. Je vous invite si vous le souhaitez à venir nous rejoindre pour réfléchir ensemble à la manière de dynamiser le projet « Brest ville wikipédia », aux nouveaux contenus qui pourraient être mis en partage, à la manière de constituer un groupe local de contributeurs… Les animateurs nous parlerons aussi des projets similaires mis en place à Rennes, Toulouse et Bordeaux. Si vous êtes intéressé merci de me contacter gaelle.fily (at) brest-metropole-oceane.fr afin de voir ensemble pour faire votre inscription. File:Ouessant Le phare du Nividic en 1912.jpg has been listed at Commons:Deletion requests so that the community can discuss whether it should be kept or not. We would appreciate it if you could go to voice your opinion about this at its entry. File:Affiche publicitaire Île-Tudy.jpg has been listed at Commons:Deletion requests so that the community can discuss whether it should be kept or not. We would appreciate it if you could go to voice your opinion about this at its entry. File:018 Plonivel Un habitant de Plonivel vers 1910.JPG has been listed at Commons:Deletion requests so that the community can discuss whether it should be kept or not. We would appreciate it if you could go to voice your opinion about this at its entry. File:Rosnyvinen député.jpg has been listed at Commons:Deletion requests so that the community can discuss whether it should be kept or not. We would appreciate it if you could go to voice your opinion about this at its entry. File:Bigoudènes en grève 1926.jpg has been listed at Commons:Deletion requests so that the community can discuss whether it should be kept or not. We would appreciate it if you could go to voice your opinion about this at its entry. File:029 Rochers près de la pointe de Primel.JPG has been listed at Commons:Deletion requests so that the community can discuss whether it should be kept or not. We would appreciate it if you could go to voice your opinion about this at its entry. File:Jeune femme de Plougstel-Daoulas (plaond du théatre de Rennes).jpg has been listed at Commons:Deletion requests so that the community can discuss whether it should be kept or not. We would appreciate it if you could go to voice your opinion about this at its entry. File:Victor Segalen.JPG has been listed at Commons:Deletion requests so that the community can discuss whether it should be kept or not. We would appreciate it if you could go to voice your opinion about this at its entry. File:Le dolmen de Kerbalanec 1900.jpg has been listed at Commons:Deletion requests so that the community can discuss whether it should be kept or not. We would appreciate it if you could go to voice your opinion about this at its entry. Thanks for uploading File:Saint-Germain Coiffe de Bannalec.jpg. I notice that the file page either doesn't contain enough information about the license or it contains contradictory information about the license, so the copyright status is unclear. File:Carte postale de propagande du parti autonomiste breton.jpg has been listed at Commons:Deletion requests so that the community can discuss whether it should be kept or not. We would appreciate it if you could go to voice your opinion about this at its entry. Thanks for uploading File:Femme de Scaër.jpg. I notice that the file page either doesn't contain enough information about the license or it contains contradictory information about the license, so the copyright status is unclear. File:Plouyé 28 Le monument aux morts.jpg has been listed at Commons:Deletion requests so that the community can discuss whether it should be kept or not. We would appreciate it if you could go to voice your opinion about this at its entry. Je viens de consulter votre cliché File:Mont-Beuvray - 13.jpg (merci pour la photo !) et je m'interrogeais. Je ne sais si vous un êtes un spécialiste, ou si vous passiez juste dans le coin, mais sauriez-vous si la maison dont vous avez photographié les vestiges est bien éduenne comme cela est évoqué sur Wikipédia, ou s'il s'agit plutôt, comme je le pense, d'une maison romaine postérieure ? File:Saint-Joachim extraction de la tourbe coupage.jpg has been marked as a possible copyright violation. Wikimedia Commons only accepts free content—that is, images and other media files that can be used by anyone, for any purpose. Traditional copyright law does not grant these freedoms, and unless noted otherwise, everything you find on the web is copyrighted and not permitted here. For details on what is acceptable, please read Commons:Licensing. You may also find Commons:Copyright rules useful, or you can ask questions about Commons policies at the Commons:Help desk. File:L'Aber Benoît 1.jpg has been listed at Commons:Deletion requests so that the community can discuss whether it should be kept or not. We would appreciate it if you could go to voice your opinion about this at its entry. https://commons.wikimedia.org/wiki/File:206_Roscanvel.jpg montre non Roscanvel mais Pentrez. J'ai mis à jour https://fr.wikipedia.org/wiki/Roscanvel#Situation. File:117 Maurice Denis Portrait de l'artiste.jpg has been listed at Commons:Deletion requests so that the community can discuss whether it should be kept or not. We would appreciate it if you could go to voice your opinion about this at its entry. Vous semblez avoir posté cette illustration dans la page dédiée aux Travailleurs de la mer. Je cherche cette illustration en grand format, savez-vous où je peux trouver cela ? Thanks for uploading File:Goulien Pelras.jpg. This media is missing permission information. A source is given, but there is no proof that the author or copyright holder agreed to license the file under the given license. Please provide a link to an appropriate webpage with license information, or send an email with copy of a written permission to OTRS (permissions-commons@wikimedia.org). This also applies if you are the author yourself. The file probably has been deleted. If you sent a permission, try to send it again after 14 days. Do not re-upload. When the OTRS-member processes your mail, the file can be undeleted. Additionally you can request undeletion here, providing a link to the File-page on Commons where it was uploaded ([[:File:Goulien Pelras.jpg]]) and the above demanded information in your request.